This interview is reprinted with permission from YES! magazine. 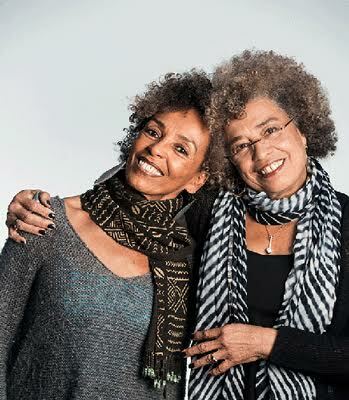 Angela Davis and her sister Fania Davis were working for social justice before many of today’s activists were born. From their childhood in segregated Birmingham, Alabama, where their friends were victims of the 16th Street Baptist Church bombing, to their association with the Black Panther Party and the Communist Party, to their work countering the prison-industrial complex, their lives have centered on lifting up the rights of African Americans. In 1969, Angela Davis was fired from her teaching position at UCLA because of her membership in the Communist Party. She was later accused of playing a supporting role in a courtroom kidnapping that resulted in four deaths. The international campaign to secure her release from prison was led by, among others, her sister Fania. Angela was eventually acquitted and continues to advocate for criminal justice reform. Inspired by Angela’s defense attorneys, Fania became a civil rights lawyer in the late 1970s and practiced into the mid-1990s, when she enrolled in an indigenous studies program at the California Institute of Integral Studies and studied with a Zulu healer in South Africa. Upon her return, she founded Restorative Justice for Oakland Youth. Today, she is calling for a truth and reconciliation process focused on the historic racial trauma that continues to haunt the United States. Sarah van Gelder: You were both activists from a very young age. I’m wondering how your activism grew out of your family life, and how you talked about it between the two of you. Fania Davis: When I was still a toddler, our family moved into a neighborhood that had been all white. That neighborhood came to be known as Dynamite Hill because black families moving in were harassed by the Ku Klux Klan. Our home was never bombed, but homes around us were. Angela Davis: Fania is probably too young to remember this, but I remember that strange sounds would be heard outside, and my father would go up to the bedroom and get his gun out of the drawer, and go outside and check to see whether the Ku Klux Klan had planted a bomb in the bushes. That was a part of our daily lives. Many people assume that the bombing of the 16th Street Baptist Church was a singular event, but actually there were bombings and burnings all the time. When I was 11 and Fania was 7, the church we attended, the First Congregational Church, was burned. I was a member of an interracial discussion group there, and the church was burned as a result of that group. We grew up in an atmosphere of terror. And today, with all the discussion about terror, I think it’s important to recognize that there were reigns of terror throughout the 20th century. Sarah: So where were you when you heard the 16th Street Baptist Church bombing had happened? Fania: I was attending high school in Glen Ridge, New Jersey. And I didn’t take no stuff from nobody. I was always talking about James Baldwin or Malcolm X, and always bringing up issues of racial equity and justice. I heard about the bombing when my mother told me that one of the girls’ mother had called her up-because they were close friends-and said, “There’s been a bombing at the church. Come and ride down with me so we can get Carole, because Carole’s at church today.” And they drive down there together, and she finds that there is no Carole, she’s been … there’s no body even. I think it fueled this fire, the fire of anger and just made me determined to fight injustice with all of the energy and strength that I could muster. Sarah: Can you say more about what everyday life was like for you growing up? Angela: We went to segregated schools, libraries, churches. We went to segregated everything! Fania: Of course, in some ways it was a good thing that we were very tight as a black community. When we went outside of our homes and communities, the social messaging was that you’re inferior: You don’t deserve to go to this amusement park because of your color or to eat when you go downtown shopping. You must sit in the back of the bus. And so I found myself-even as a 10-year-old-just going into the white bathrooms and drinking out of the white water fountains, because from a very early age I had a fierce sense of right and wrong. My mother would be shopping somewhere else in the store, and before she knew it, the police were called. Sarah: Let’s skip ahead to when it became clear that you, Angela, were going to need a whole movement in your defense. And Fania, you ended up spending years defending her. Fania: Yeah, about two years. Angela: In 1969, I was fired from a position in the philosophy department at UCLA. That’s when all the problems started, and I would get threats like every single day. I was under attack only because of my membership in the Communist Party. Angela: Then in August 1970, I was charged with murder, kidnapping, and conspiracy. And so I had to go underground. I found my way to Chicago, then to New York and Florida, and finally I was arrested in New York in October. It was during the time that I was underground that the campaign really began to develop. Sarah: So, Fania, when did you turn your focus to supporting your sister’s cause? Fania: The night before I left Cuba, I found out that she had been captured. So instead of going home to California, I immediately went to where Angela was in the Women’s House of Detention in Greenwich Village. Angela: All of my friends and comrades began to build the campaign. Once I was arrested and extradited, they all moved up to the Bay Area. We were active in the Communist Party, and, you know, whatever criticisms one might have of the Communist Party, we could go anywhere in the world and find people with whom we had some kinship, and people opened their homes. It was the Party that was the core of the organizing for my release, and the movement was taken up by students on campus and church people. Sarah: Did you know that there was that kind of support happening? Angela: I knew, and I didn’t know. I knew abstractly, but Fania was the one who traveled and actually got to witness it. Fania: Yeah, I was speaking to 60,000 people in France and 20,000 in Rome, London, and East and West Germany, all over the world, and seeing this massive movement to free her. Angela: It was an exciting era because people really did believe that revolutionary change was possible. Countries were getting their independence, and the liberation movements were going on, and there was this hope all over the world that we would bring an end to capitalism. And I think that I was fortunate to have been singled out at a moment of conjuncture of a whole number of things. Sarah: Your work since that time has centered on the criminal justice system. Are you both prison abolitionists? Angela: Oh, absolutely. And it’s exciting to see that the notion of abolition is being broadly embraced not only as a way to address overincarceration, but as a way to imagine a different society that no longer relies on repressive efforts of violence and incarceration. Abolition has its origin in the work of W.E.B. Du Bois and the idea that slavery itself was dismantled, but the means of addressing the consequences of that institution were never developed. In the late 1800s, there was a brief period of radical reconstruction that shows us the promise of what might have been. Black people were able to generate some economic power, start newspapers and all kinds of businesses. But all of this was destroyed with the reversal of Reconstruction and the rise of the Ku Klux Klan in the 1880s. Fania: Yeah, we abolished the institution of slavery, but then it was replaced by sharecropping, Jim Crow, lynching, convict leasing. The essence of the racial violence and trauma that we saw in the institution of slavery and in those successive institutions continues today in the form of mass incarceration and deadly police practices. Angela: We’re taking up struggles that link us to the anti-slavery abolitionists, and the institution of the prison and the death penalty are the most obvious examples of the ways in which slavery has continued to haunt our society. So it’s not only about getting rid of mass incarceration, although that’s important. It’s about transforming the entire society. Sarah: How might restorative justice help with this transformation? Fania: A lot of people think that restorative justice can only address interpersonal harm-and it’s very successful in that. But the truth and reconciliation model is one that’s supposed to address mass harm-to heal the wounds of structural violence. We’ve seen that at work in about 40 different nations; the most well-known is, of course, the South African Truth and Reconciliation Commission. In South Africa, the commission invited victims of apartheid to testify, and, for the first time ever, they told their stories publicly. It was on all the radio stations, in all the newspapers, it was all over the television, so people would come home and tune in and learn things about apartheid that they had never known before. There was an intense national discussion going on, and people who were harmed felt vindicated in some way. That kind of thing can happen here, also, through a truth and reconciliation process. In addition to that sort of hearing commission structure, there could be circles happening on the local levels-circles between, say, persons who were victims of violence and the persons who caused them harm. Angela: How does one imagine accountability for someone representing the state who has committed unspeakable acts of violence? If we simply rely on the old form of sending them to prison or the death penalty, I think we end up reproducing the very process that we’re trying to challenge. So maybe can we talk about restorative justice more broadly? Many of the campaigns initially called for the prosecution of the police officer, and it seems to me that we can learn from restorative justice and think about alternatives. Sarah: Fania, you told me when we talked last year that your work on restorative justice actually came about after you went through a personal transition period in the mid-1990s, when you decided to shift gears. Fania: I reached a point where I felt out of balance from all of the anger, the fighting, from a kind of hypermasculine way of being that I had to adopt to be a successful trial lawyer. And also from around 30 years of the hyperaggressive stance that I was compelled to take as an activist-from being against this and against that, and fighting this and fighting that. Intuitively, I realized that I needed an infusion of more feminine and spiritual and creative and healing energies to come back into balance. Sarah: How did that affect your relationship as sisters? Fania: My sister and I had a period-right in the middle of that-when our relations were strained for about a year, due in part to this transformation. It was very painful. At the same time, I finally understood that it needed to happen because I was forging my own identity separate from her. I had always been a little sister who followed right in her footsteps. Yeah, and so now we are close again. And she’s becoming more spiritual. Angela: I think our notions of what counts as radical have changed over time. Self-care and healing and attention to the body and the spiritual dimension-all of this is now a part of radical social justice struggles. That wasn’t the case before. And I think that now we’re thinking deeply about the connection between interior life and what happens in the social world. Even those who are fighting against state violence often incorporate impulses that are based on state violence in their relations with other people. Fania: When I learned about restorative justice, it was a real epiphany because it integrated for the first time the lawyer, the warrior, and the healer in me. The question now is how we craft a process that brings the healing piece together with the social and racial justice piece-how we heal the racial traumas that keep re-enacting. Angela: I think that restorative justice is a really important dimension of the process of living the way we want to live in the future. Embodying it. We have to imagine the kind of society we want to inhabit. We can’t simply assume that somehow, magically, we’re going to create a new society in which there will be new human beings. No, we have to begin that process of creating the society we want to inhabit right now. Sarah van Gelder wrote this article for Life After Oil, the Spring 2016 issue of YES! Magazine. Sarah is co-founder of YES! Follow her on Twitter @sarahvangelder. Photo: Fania Davis and Angela Davis. YES! Photo by Kristin Little.